Before we venture onto lunch, a quick aside regarding outdoor kitchens: a sink is vital to making it an outdoor kitchen. 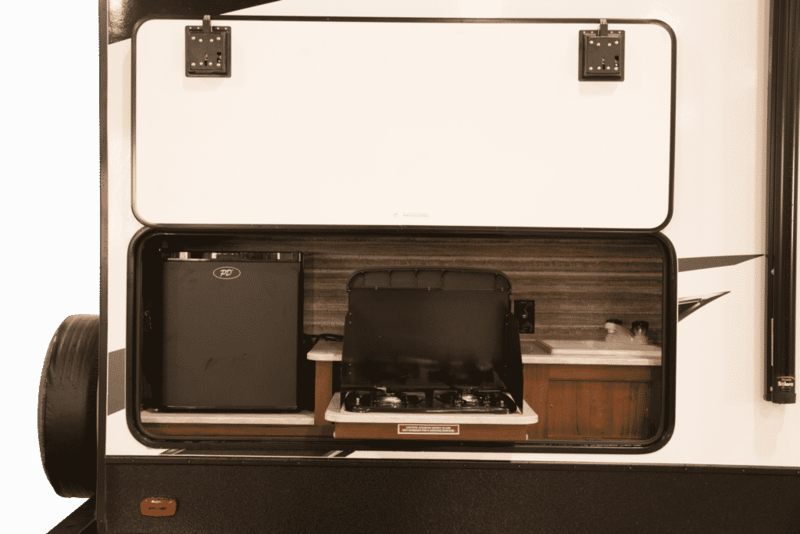 Pull-out grills off the exterior of a towable or motorhome are great, but I like to be able to clean my food and my hands without walking inside. Furthermore, my ideal outdoor kitchen includes a refrigerator, some counter space for food prep, an exterior outlet and, obviously, a grill and/or range. A spot for a small flat screen TV is awfully nice, but that’s not a deal breaker for me. The TV merely takes it to a higher level where, if I have satellite or cable hooked up, I can cook a meal outside and be yelled at by a host of TV chefs if I choose. On to the picnic lunch. Let’s create a quick and good family picnic lunch utilizing your RV’s outdoor kitchen. You’ll want to get out with your family and hit the afternoon trail. This is a family picnic and we’re doing it quickly for there are other camping activities ready for the taking that will need a good hearty meal for energy. We want to get your activities started ASAP, but we do want you to have a fast, hot lunch and frankly you are not here to read how to make a peanut butter sandwich or cold cut sub. On that note, let’s leave the gourmet muddled pesto and grilled garlic chicken sandwich with arugula on hand-grilled focaccia sandwich on the back burner. And let’s not pretend any effort you make to create colorful salads in jars are going to entice your kids to eat the salad. You’re camping, so it’s highly unlikely it will work. 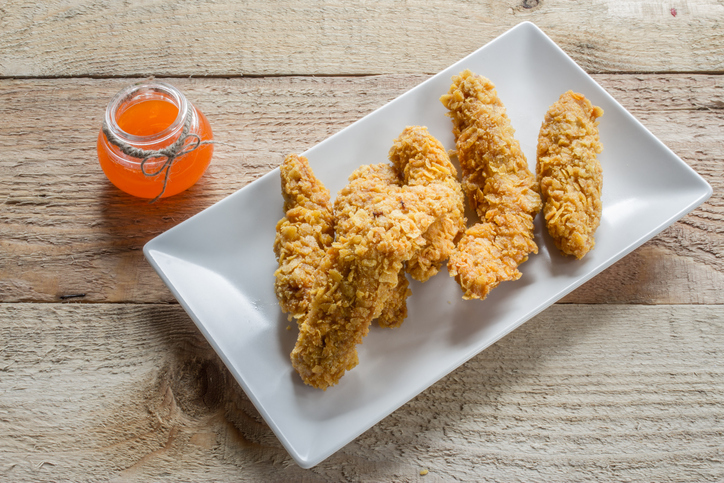 Let’s focus on delicious finger food. Don’t get too concerned about the nutrition lacking in fried foods. 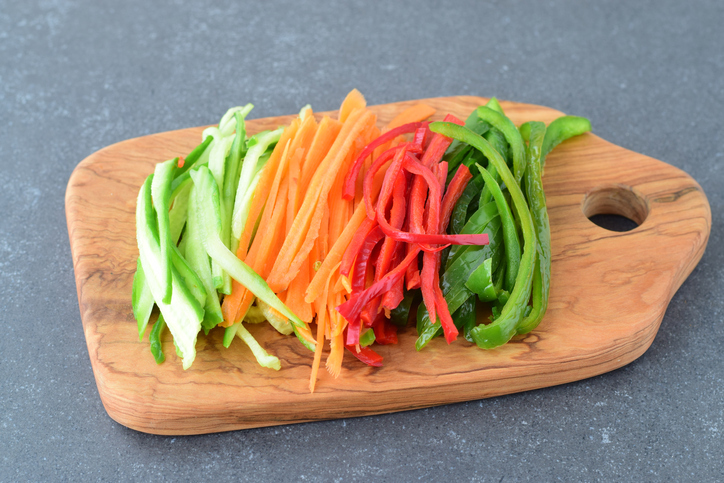 While the chicken fingers are cooking or before you have even turned up the heat, you have time for a quick creation of Veggie Fingers as a healthy supplement. You can make fruit fingers if you want, but I’d just call them slices and be done with it. Apples, oranges, bananas, kiwis, whatever you want they are quick to prep. I like to call them Sasquatch fingers. Sound complicated? Not one bit. 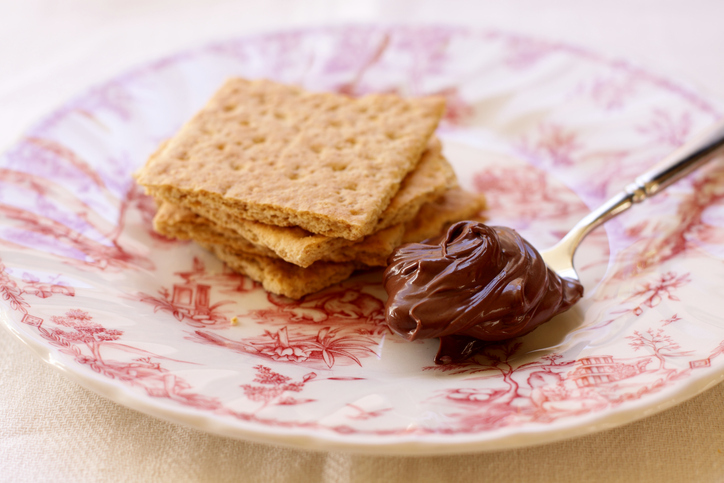 All you need are graham crackers and a jar of any spreadable chocolate. It’s like a s’more but without hard chocolate and marshmallow. You could call them a s’less, but I call them Sasquatch fingers. Divide graham crackers into their natural quarters, spread the chocolate, make little sandwiches and tell the kids the ‘real’ Sasquatch has naturally rectangle-shaped fingers. If they try to argue, go tell them to find some real Sasquatch fingers to prove you wrong. Voila, your quick picnic lunch is complete. Pack everything up in whatever cooler or bag you have available, grab some drinks out of the outdoor refrigerator and find your spot. And don’t forget the picnic blanket. A picnic table is fine, but it’s just a table. A true picnic is on a blanket. Early riser? Want a hearty quick breakfast picnic using your outdoor kitchen? How about a picnic dinner? Whatever you desire, click and enjoy. Love these tips. We don’t have an outdoor kitchen with our trailer, but can see why you would want a sink if you are cooking out there. Good ideas for me to keep in mind when we upgrade. Side note: one of my favorite sweet treats is graham crackers with chocolate frosting. Very similar to the Sasquatch Fingers you recommend. Yumm! Outdoor kitchens can be a really nice upgrade and great for get togethers with other RVers. Frosting and graham crackers have me hungry! Happy camping, Jenny!